Sadaf + Logan decided to go for one of our all inclusive packages. We’re so glad they did, because it was really quite humbling to see their journey from start to finish. We were luckily enough to be able to photograph their pre-wedding/engagement shoot as well as photograph and film their wedding day. Not to mention a check in a year after for a shoot as a married couple. They went for the ‘Wedding Film’ option, which is a documentary style film of your special day. This too, really allowed us to connect with Sadaf + Logan, which in turn creates a more intimate yet creative result. For their engagement shoot, we went to Lighthouse Park. This is one of Greater Vancouver's most beautiful parks located along the shores of West Vancouver. The park boasts some of the largest Douglas Fir trees in Greater Vancouver as well as breathtaking views of the water. Making it a magical location for a photoshoot. The aim for us, is to really represent yourselves as the couple. 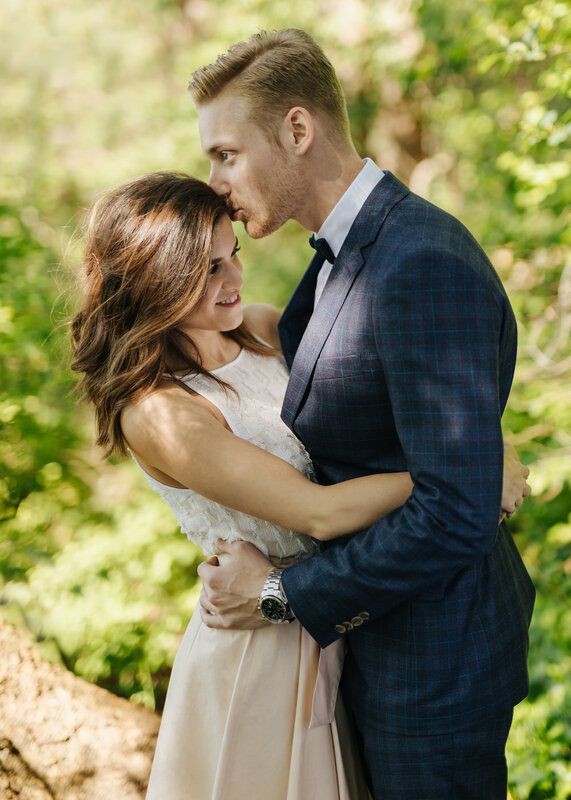 Sadaf + Logan wanted a more fun and airy theme for their engagement, yet remaining quite formal. So we all went on a summer’s day walk. Not so much a hike, but a lovely little wander amongst the trees on a gloriously sunny day. Continuing with the outdoor theme, the two decided to hold an outdoor wedding at the ever so wonderful Brockhouse. Brock House Restaurant is another one of our most desirable venues. Combining elegance and charm! It is an authentic Tudor replica heritage building situated on the scenic Vancouver waterfront. Along the ever so beautiful Jericho beach, which made for some really beautiful sunset images at the end of the evening. 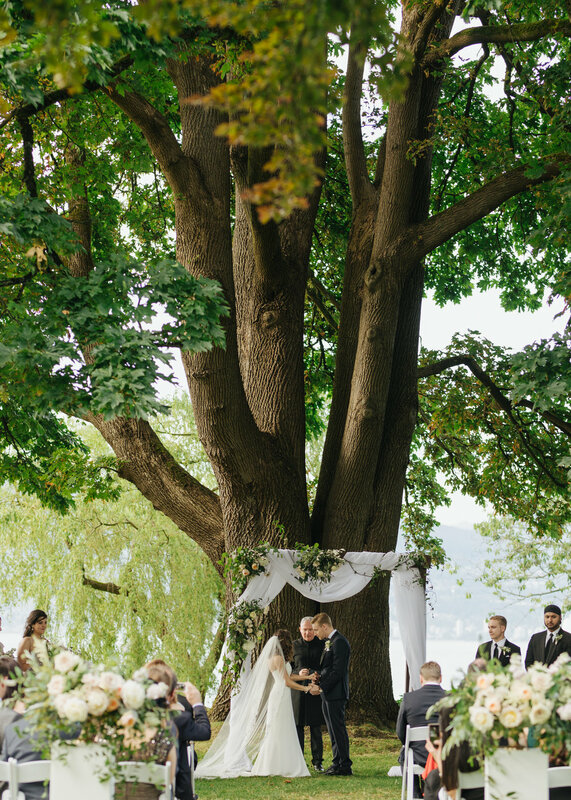 The ceremony, was along the green plain overlooking the beach, with the two saying their vows underneath the tree that has become an iconic spot, especially in regards to Vancouver wedding photography. Sadaf was ravishing; a mixture of lace and satin bandeau dress with an elegant front slit. Accompanied by a traditional yet quaint pearl necklace. As for floral and decor, the flowers were neutral, peach and beige roses. Romantically apt. Logan looking sharp in a blue tux. A lovely day had by all. A year after, we reunited with the couple for one last shoot to see how married life is treating them. They both appeared even more in love (if that was possible) and much more confident. It was really special for us to witness. We wish you both well for many more years to come together!